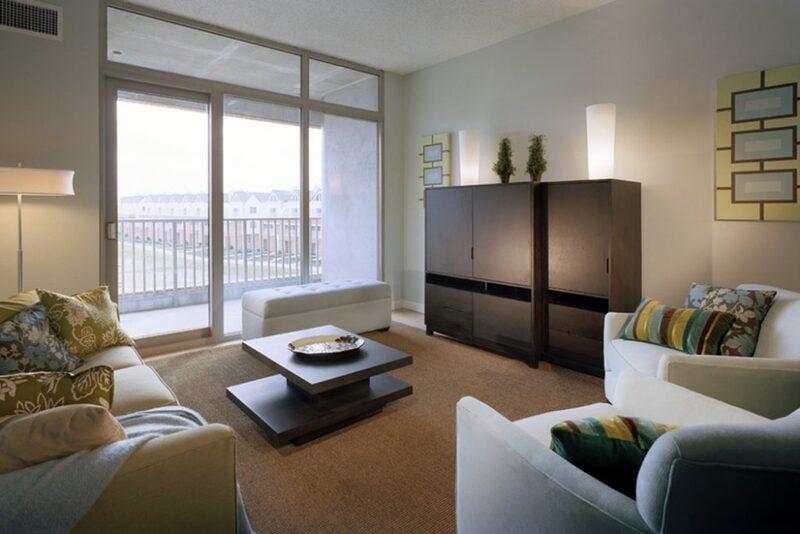 Find your new home at the Residences at Christina Landing & take advantage of our current leasing offers! For a limited time only, we are offering our one-month FREE RENT on select apartment homes. Terms and conditions apply. Contact our leasing office today for more information to schedule your tour! Apartment features include 9′ ceilings, breathtaking views of Christina River *, floor-to-ceiling windows with blinds*, sophisticated kitchens with granite countertops, and large closets with extra storage available. Building amenities include a fully equipped fitness center, outdoor courtyard with BBQ/picnic area, free wifi in common areas, a resident lounge, and an onsite screening room with theater-style seating. Residents also enjoy an elegant lobby and reception area with concierge and package receiving, a vibrant social community with resident events, 24-hour emergency maintenance, our convenient location across from Wilmington train station, professional property management on-site, Rainbow Cleaners on-site (dry cleaning and tailoring), and Riverwalk access. Additionally, when you live at The Residences at Christina Landing, you are part of the ResideBPG community and receive exclusive discounts through our Play Where You Live program. This discount card can save you hundreds of dollars a year to local businesses, restaurants, and more!